UIDAI provide the facility for Aadhar Card update , You can change Name, DOB, Address , Mobile Numbeer online . 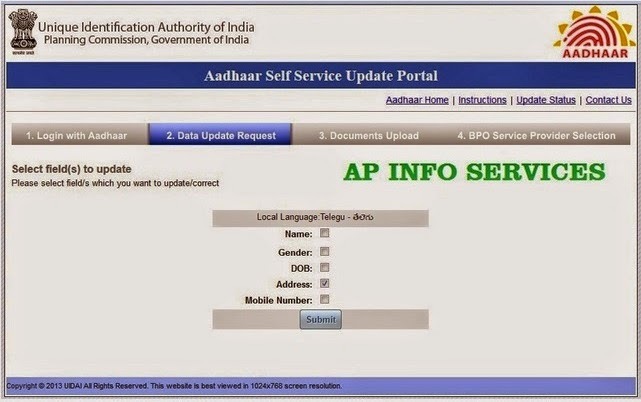 Uidai has launched Self Aadhar Service Update Portal ( SSUP ) for easily avail services, you can now modify your Aadhaar Card details like , Name, Date of birth (DOB), Grand, Change of address very easily. for avail this service you need to old registered Mobile number at the time of first time given for aadhar enrollment for purpose of you receive OTP ( One time password).send to your mobile number from UIDAI. Mobile number is mandatory to receive password for login to change your Aadhaar Card details follow mentioned below steps. 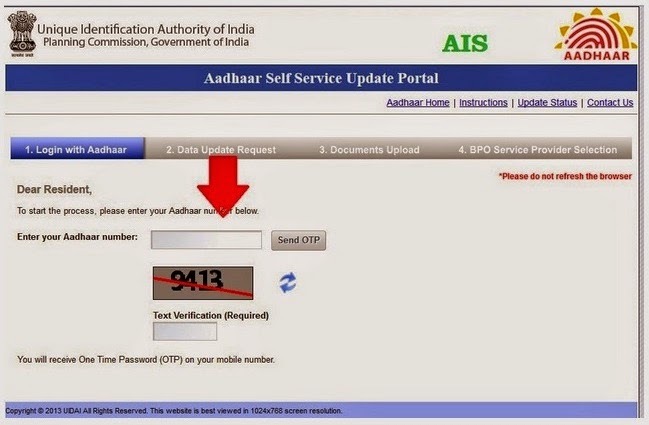 Aadhaar Self Service Update Portal. UIDAI is committed to provide resident friendly eco-system and self service update portal is one of the various touch points to update their profile in 3 easy steps: STEP 1: Login with Aadhaar, STEP 2: Upload Documnets and STEP 3: Select BPO Service Provider and submit request.Residents can update Name, Address, Gender, Date of Birth, Mobile Number and Email ID through this portal. How to Update Aadhaar Card Details online ? 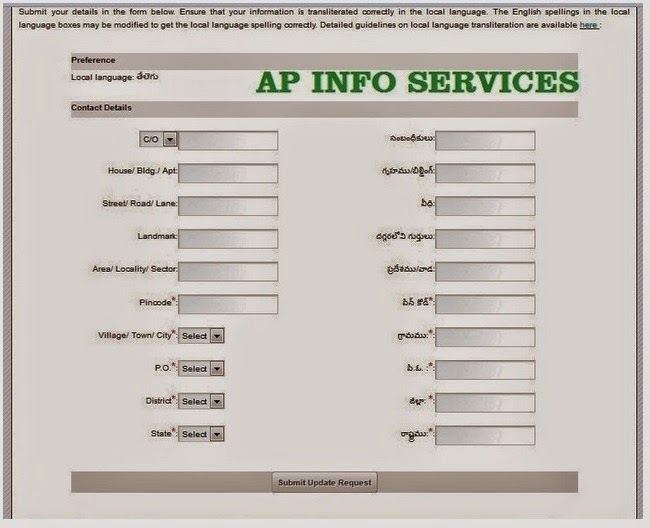 2 STEP : Enter your 12 -digits Aadhaar number in the field and click " Send OTP" Button you will than received OTP ( One time password) on your registered Mobile number it is valid for only 15 minutes, in your mobile number is not registered than system will be asking your mobile number enter your mobile number on which your OTP will sent. 4 STEP : Now input new Data which you want to Change , and click on "Submit update request "
and click on "Submit" button. 6. STEP : Next you will than see a update "Request complete" you will also receive a conformation on your Mobile number along with your URN. 7 STEP : You can also download the acknowledgement slip by click on the "download file "button or can take print out of it. for future reference by click on the "print out button"
8 STEP : you can than log out by click on the "log out" link at the top right corner of the page.